This might come as a surprise to many. Ubuntu is known to be more of a regular consumer-focused OS. But in a test conducted by NetworkWorld to find out the best enterprise oriented Linux distro out there, Ubuntu came on top overtaking the likes of enterprise specific Linux distors such as Red Hat, ClearOS, SUSE Enterprise and the likes. The five products tested include SUSE Enterprise Server 11 Service Pack 2, Mandriva Business Server 1.0, ClearOS 6 Professional, Red Hat Enterprise Linux 6.4 and Ubuntu 12.04 LTS. They are all enterprise server versions offering commercial support options, either at the OS level or in the form of commercial management tools and support plans. NetworkWorld concludes the report with the following statement:- "We initially thought commercial goliath Red Hat might dominate in our tests, but in our final tally Ubuntu came out on top. Ubuntu delivered intuitive, uncluttered management tools, excellent hypervisor support, and transparency (commercial and open source versions are one and the same). Canonical also boasts progressive strategic alliances with large cloud providers. Ubuntu is also closely associated with the popular OpenStack platform." This is welcome news as far as Canonical and Ubuntu are concerned. 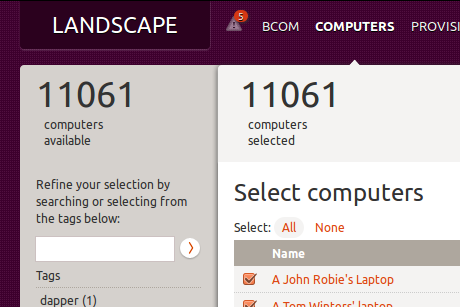 Ubuntu is already the goto Linux distro as far as regular users are concerned. And now, they are upping their game at the enterprise level too. You can read the full NetworkWorld report here.